Distractify.com posted a piece about my sandwich bags on Dec. 23. Since then the views on my Flickr site have been crazy. Just today, January 2, I received 713,701 views. A new one-day record for me. Last Saturday, Dec. 27, I reached 9 million views. I was satisified with that milestone. Yet here it is 10 days later and I have over 10 million. 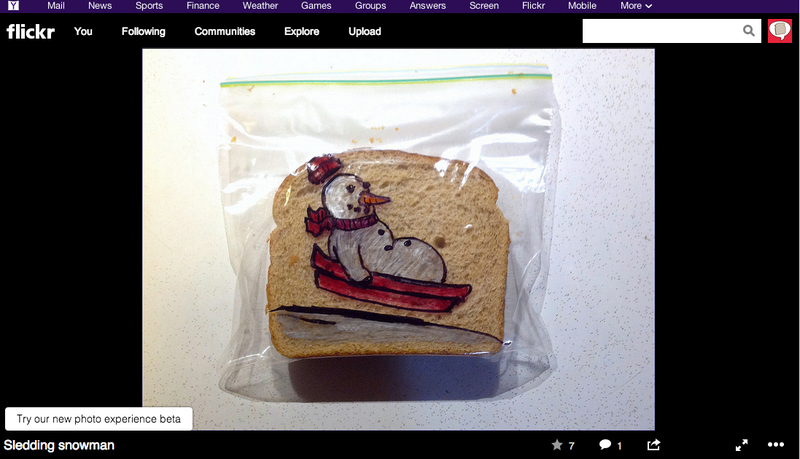 I really appreciate all the views, likes and people following me on Flickr, all my Facebook “Likes.” I’m still drawing on my kids’ sandwich bags and expect to be doing it for a few more years.